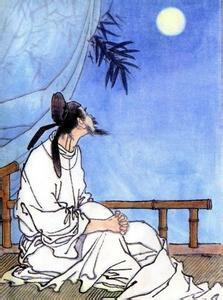 Li Bai (701-762) lived during the Tang dynasty. He is considered one of China’s greatest poets of all time. A large number of his poems are still known today. He is well-known for writing about the past, making us think of our own past, the places where we grew up and the people that we have met along the way. yí shi dī shàng shuāng. ​dī tóu sī gù xiāng. I think it looks like frost upon the ground. ​I lower my head and think of home.